gives the distance transform of image, in which the value of each pixel is replaced by its distance to the nearest background pixel. 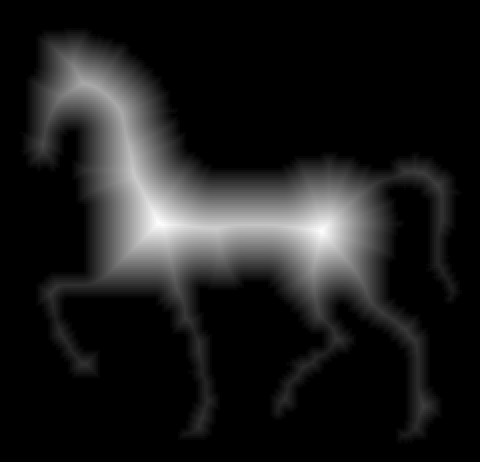 DistanceTransform gives an image in which the value of each pixel is the absolute Euclidean distance in pixels to the nearest pixel of background. 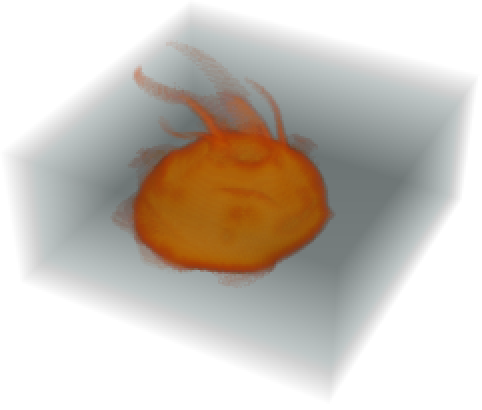 ImageAdjust[result] normalizes the pixel values in the result from DistanceTransform. For multichannel images, DistanceTransform operates on the intensity averaged over all channels. DistanceTransform[image] is equivalent to DistanceTransform[image,0]. Other possible settings for DistanceTransform are ManhattanDistance, ChessboardDistance, and SquaredEuclideanDistance. DistanceTransform works with Image3D objects.